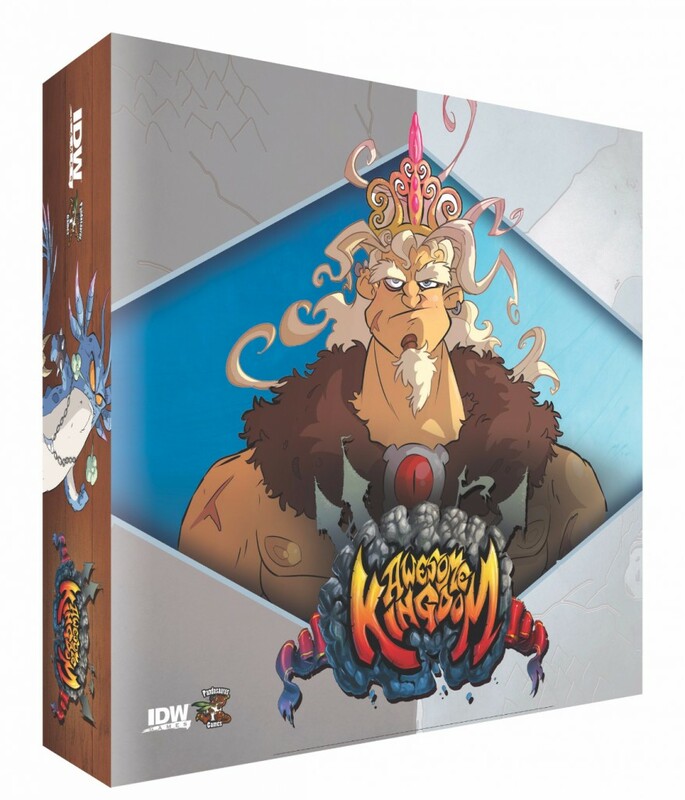 AWESOME KINGDOM: THE TOWER OF HATESKULL TO RELEASE THIS SUMMER! Ready your steed, sharpen your blade, and crank the tunes to eleven, as you prepare to enter IDW Games’ first entry into fantasy gaming. Awesome Kingdom: Tower of Hateskull, from legendary game designer Kevin Wilson (Descent, Arkham Horror, X-Files) is an over-the-top, tongue-in-cheek, sword-in-hand dungeon-crawling card game due out later this summer. Look for Awesome Kingdom: Tower of Hateskull to hit stores in July 2015.